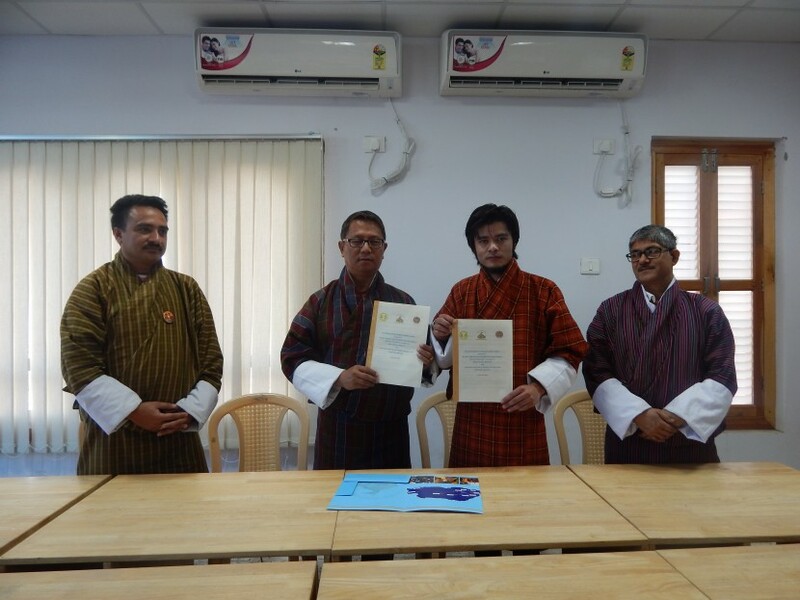 On 1st March, 2016, a memorandum of understanding(MoU) was signed between Jigme Namgyel Engineering College(JNEC) and Construction Development Board(CDB), Thimphu. The main objectives of the MoU is to promote cooperation and exchange of expertise between the two agencies. As per the MoU, CDB desires to collaborate with JNEC in enhancing the quality and professionalism of contractors whereas JNEC agrees to collaborate with CDB to provide educational and training services.